Skipper butterfly, Pyrrhopyge thericles, caterpillars only eat plants in the genus Vismia. 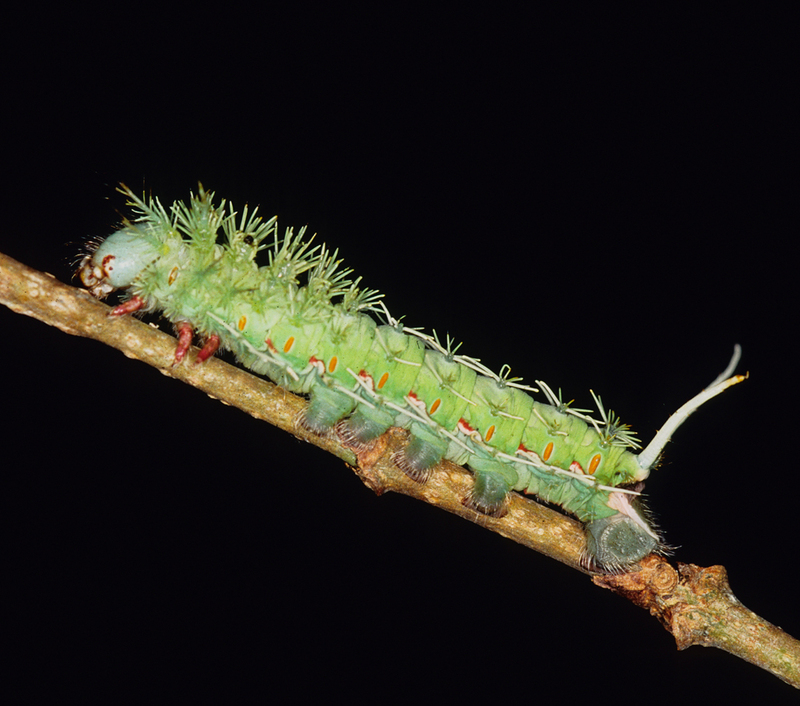 The caterpillars of a large moth, Periphoba arcaei, have a much broader diet, including Vismia plants and many others. 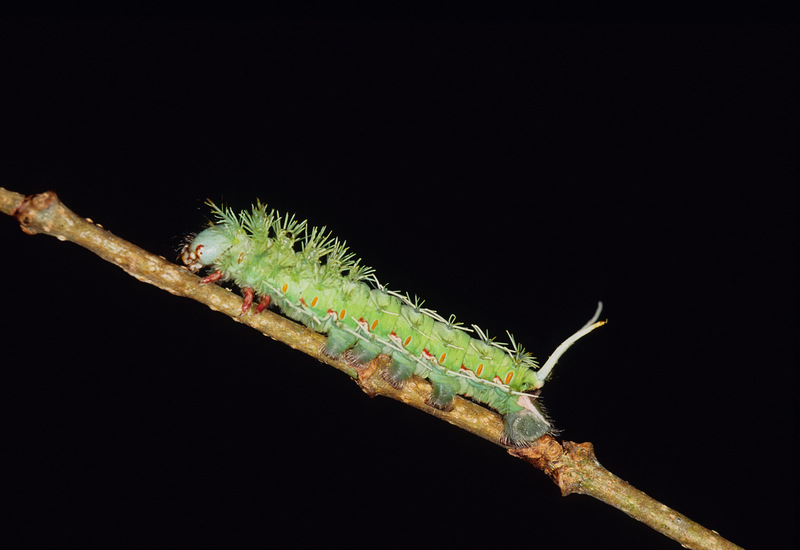 Brightly colored caterpillars, one with flamboyant stripes, and the other blue-green with bristles, teach predators to associate their striking looks with toxicity—a defensive warning system known as aposematism. STRI, headquartered in Panama City, Panama, is a unit of the Smithsonian Institution. The institute furthers the understanding of tropical nature and its importance to human welfare, trains students to conduct research in the tropics and promotes conservation by increasing public awareness of the beauty and importance of tropical ecosystems. Visit our website here. 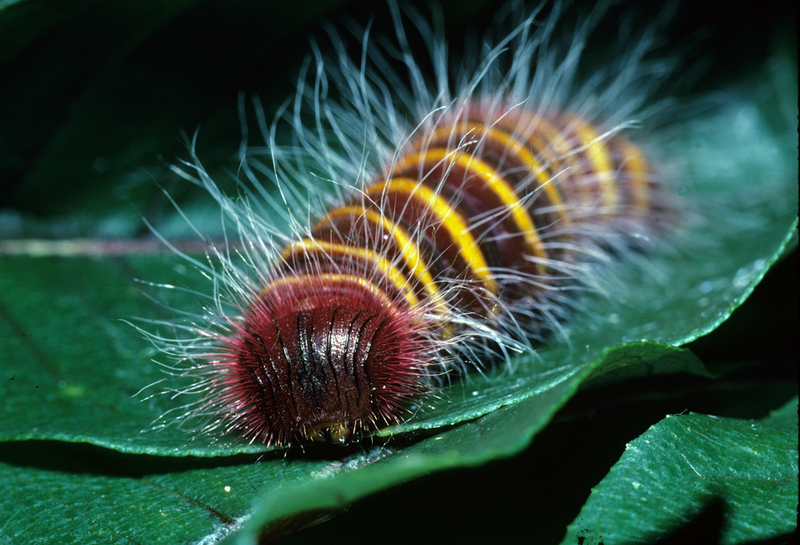 Though caterpillars of the moth Periphoba arcaei will eat a wide variety of plants, they have also evolved a defense mechanism previously only seen in insects that specialize on eating toxic plants. 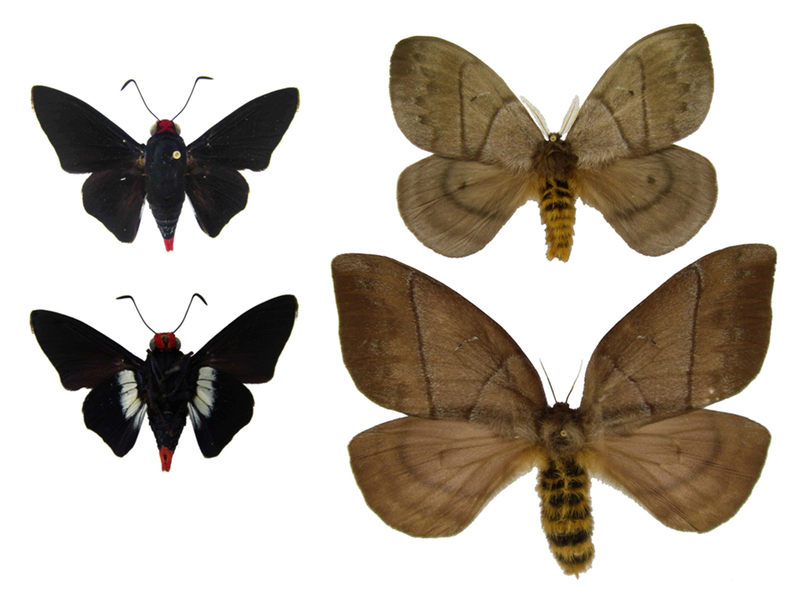 Adults of the skipper butterfly, Pyrrhopyge thericles (left), and of the moth Periphoba arcaei (right) rely respectively on speed and inconspicuous coloration to avoid predators.